Twitter has told the French government it will not run adverts promoting the Interior Ministry's campaign urging the electorate to vote, following a new law clamping down on misinformation and covert political advertising. The campaign #Ouijevote, which encourages voting in May’s European Parliament elections, will not be able to post sponsored tweets on the site. “Twitter has decided to follow an entirely hard-line approach which is to slash every campaign of a political nature,” SIG, which co-ordinated the campaign with the French interior ministry, told Agence France-Presse. In December 2018, French parliament passed a law forcing big social media sites and search engines to be more transparent about the sources of political advertising. It obliges companies to publish how much they are paid for electoral advertisements, as well as providing an online register of who is behind sponsored political messages on its platform. Twitter has not yet updated its services in France to provide the required transparency. The new law aims to crack down on underhand targeted advertising aimed at shaping public opinion, a practice that came to light following US elections and the Brexit referendum. 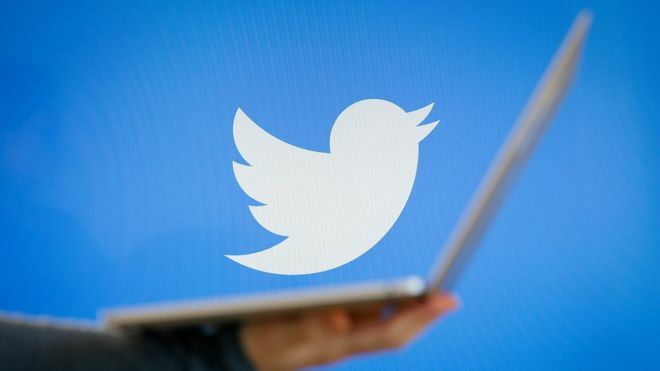 However, interior minister Christophe Castaner has criticised Twitter for interpreting the law to encompass the campaign for voter registration. “Twitter’s priority should be to fight content supporting terrorism,” he tweeted. Mr Castaner said the subject will be discussed with the Big Four tech companies at the G7 summit with interior ministers on Thursday. Google and Facebook have already introduced transparency settings for its sponsored advertisements. Last year, Minister for Europe and Foreign affairs, Jean-Yves Le Drian, doubled down on the “manipulation of information” prevalent on the internet, which he called “orchestrated campaigns” spreading “deliberately-fabricated fake or biased news” for political purposes.